I’ve returned home from my two week Bosnian adventure. My friend’s extended family in Bosnia greeted me with warmth and enthusiasm. Though I don’t speak Bosnian and they don’t speak English, we were often able to communicate using only gestures and the wonders of a downloaded Microsoft Translator app (if you travel, it’s a must-have). Conversations took place over coffee. Lots of coffee. 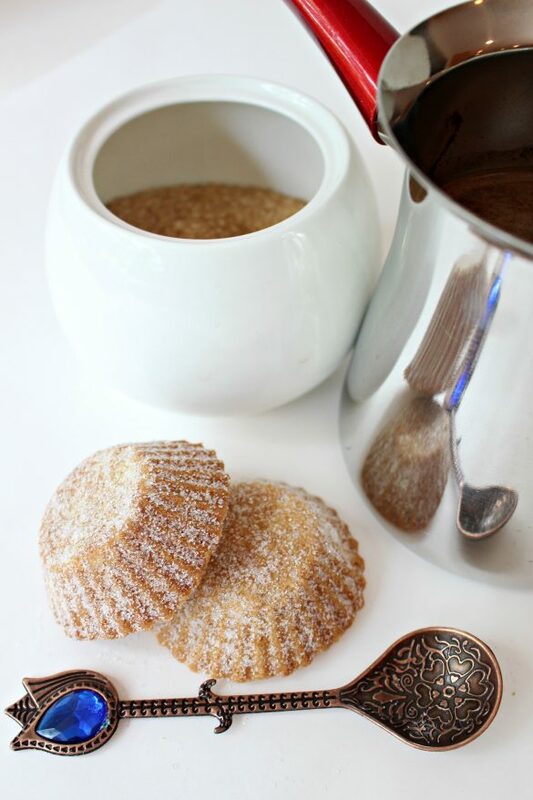 Bosnian coffee, strong like espresso, is served with ceremony, and accompanied by cake and cookies like these Bosnian Butter Cookies (Šape), a light, buttery shortbread with a delicate lemon flavor. I am usually quite talkative. According to my parents, I’ve been that way since birth. I have never been quiet. In Bosnia, I spent two weeks predominantly listening to a language I don’t know, with very little talking. Being quiet was a surprisingly strenuous brain exercise. I yawned a lot. By the end of the trip I’d learned a little Bosnian, met a whole family who welcomed me with open arms, observed many cultural traditions, and collected a head full of thoughts that I’m still working on processing. Later this week I’ll post a few trip photos. Bosnia is a stunningly beautiful country. My time in Bosnia coincided with the final 2 weeks of Ramazan (Bosnian word for Ramadan), the holy month in Islam during which many Muslims fast from sunrise to sunset each day. Some of my friend’s family observed the fast and others, for a variety of reasons, did not. Regardless, the dinner meal after sunset was a big deal every night I was there. Extended family, up to 25 people, gathered together to share large amounts of traditional foods. My plate was repeatedly filled no matter how much I protested. Eventually, at the risk of offending, I would have to insist that I would explode if I ate another bite. Then there was coffee. Before Bosnia, I was already a caffeine addict. After two weeks in Bosnia, I may have developed a permanent resistance to the effects of caffeine. The morning started with two or three small cups of the espresso-like brew. The coffee tray and sweets were brought out numerous times throughout the day, whenever a non-fasting friend or relative would arrive. Following dinner (which didn’t start until after 8:45 due to sunset), coffee, cakes, and fruit were served again. At first I was concerned that strong coffee at 10pm would keep me awake all night. Then I realized that I had reached a point where espresso didn’t wake me up any more than a glass of water. 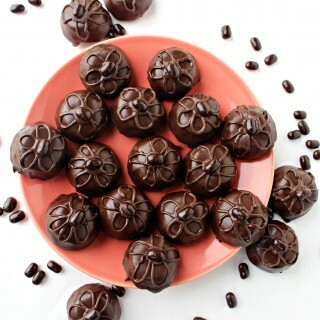 With all of that coffee, I had ample opportunity to try many different cookies and cakes. I was extremely cautious because of my nut allergy, avoiding bakery items, but my friend made sure that home baked, nut-free treats were available. Most Bosnian cakes require refrigerated storage. Many different varieties are made with phyllo dough filled with nuts, fruits, or creams, and soaked in syrup. I kept my eye out for potential care package recipes and finally discovered Bosnian Butter Cookies (Šape), but I had to do some recipe tweaking to remove the nuts before I could taste them. 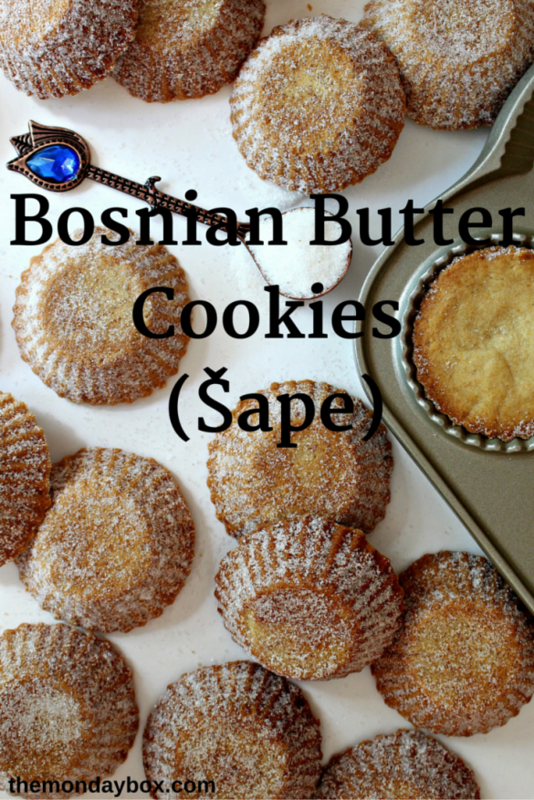 Bosnian Butter Cookies are called “Šape” (shah-pay), which means bear’s paw or bear’s claw. They get their name from the paw shaped tins they were originally baked in. Any shape of small mold can be used. 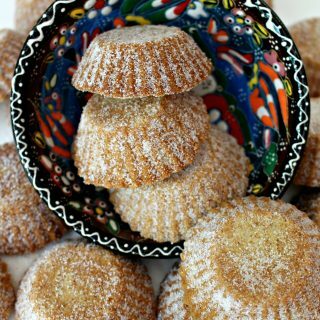 I was delighted with how the Bosnian Butter Cookies turned out using my Nordic Ware tartlette pan. The mold size is just right with a pretty fluted edge. The heavy duty pan allowed the thick cookies to cook through without burning and the non-stick surface made removal simple. I love finding new uses for my specialty pans! These Bosnian Butter Cookies are a crunchy, buttery, shortbread with a light lemon flavor. The one major tweak I made in this otherwise traditional recipe, was to remove the ground nuts and replace them with crunchy semolina flour (I use Bob’s Red Mill Semolina which is available in my supermarket baking aisle). 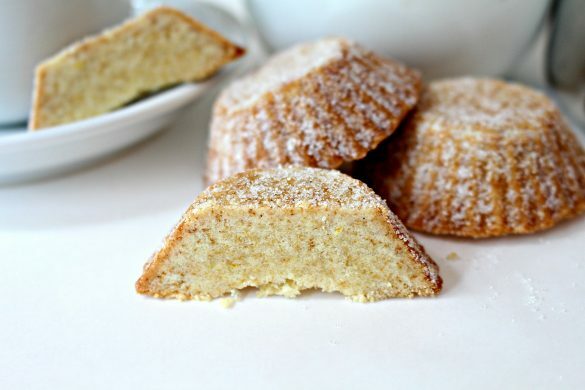 The semolina gives the cookies a melt-in-your mouth texture. If you are a nut lover, you can go back to the original flavor, switching out the semolina for the ground nuts of your choice. I highly recommend using European butter (cultured butter) for these cookies. In cookies where butter is a major flavor and texture ingredient, the higher fat content in European butter makes a big difference. There are many kinds of souvenirs that call to mind experiences from our travels. Some are tangible. I brought home a hand-made pottery bowl , some bags of Bosnian baking sprinkles, and this recipe. Others are intangible, but substantial. I created new friendships. I brought home new thoughts and perspectives which I will be pondering in the weeks to come, probably over a cup of coffee with a Bosnian Butter Cookie or two. Preheat the oven to 375° F. Spray the cups of a tartlette pan with non-stick spray. In the bowl of an electric mixer, cream butter, sugar, honey, and vanilla until fluffy (about 3 minutes). Add lemon zest and egg. Continue mixing for an additional 2 minutes. In a medium mixing bowl, whisk together the semolina, all-purpose flour, and baking powder. Gradually beat the flour mixture into the butter mixture until combined. Use a medium (2 tablespoon) scoop to fill each cup of the tartlette pan. Press the dough evenly into each cup. 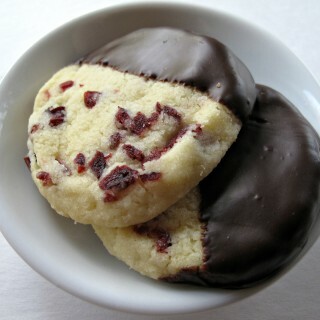 Make a shallow thumbprint in the middle of each cookie. As the cookies bake, the center rises. The thumbprint will keep the surface flat without a dome. Bake for 8-10 minutes, just until the fluted edges of each cookie are golden-brown. Cool for about 5 minutes in the pan. Turn out onto a wire rack. 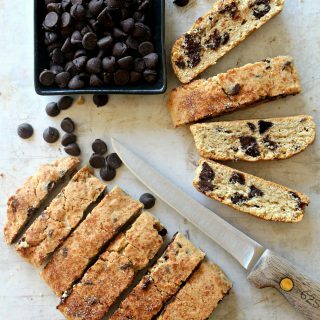 If the cookies don’t easily pop out on their own, use the tip of a sharp knife between the cookie and the pan to lift each cookie out of the pan. 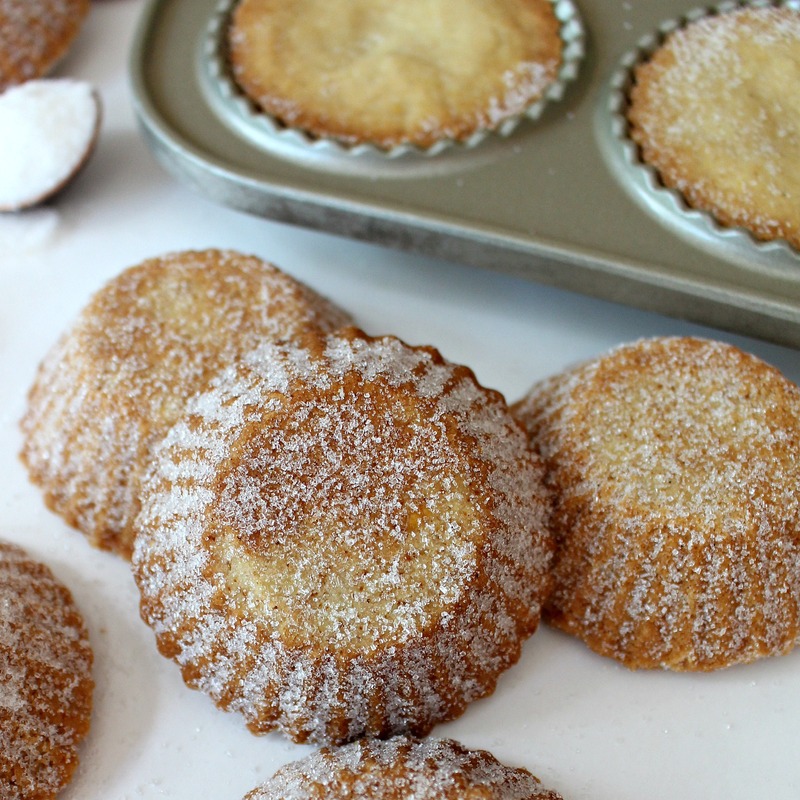 Dip the smaller end and fluted sides of each cookie in a bowl of granulated sugar to coat. Cool completely on a wire rack. Bosnian Butter Cookies are not recommended for warm weather shipping in military care packages, however, their long shelf life (with flavor improving over time) makes them an excellent choice for cool weather military care packages. Wrap each cookie in plastic wrap, then stack in columns in a freezer weight ziplock bag. 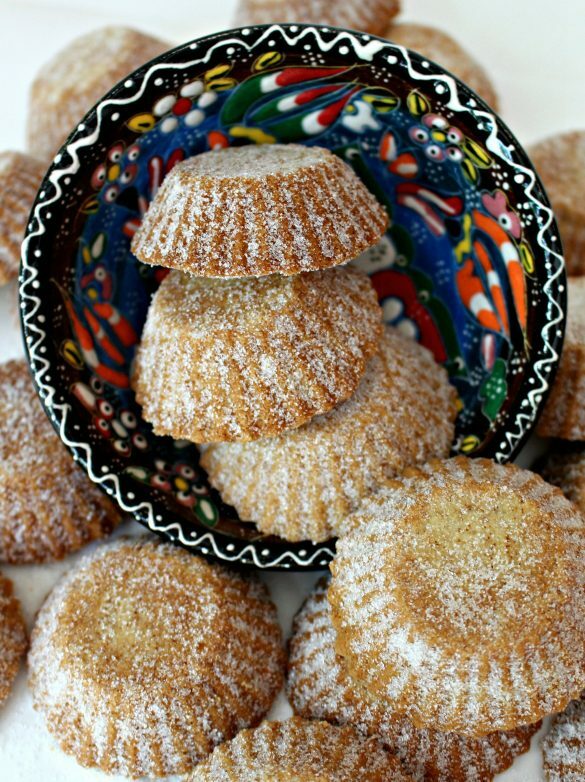 Readers who enjoyed Bosnian Butter Cookies, also loved these recipes! Take a look! Beautiful Wendy! Just read this and saw you are home. This recipe is beautiful, as is the bowl and that spoon! Thanks, Kristin! Recipes let us bring a little bit of our travels home with us. 🙂 Do you have things you like to cook/bake from your travels? What a trip! Two whole weeks in Bosnia must have been quite a memorable experience. 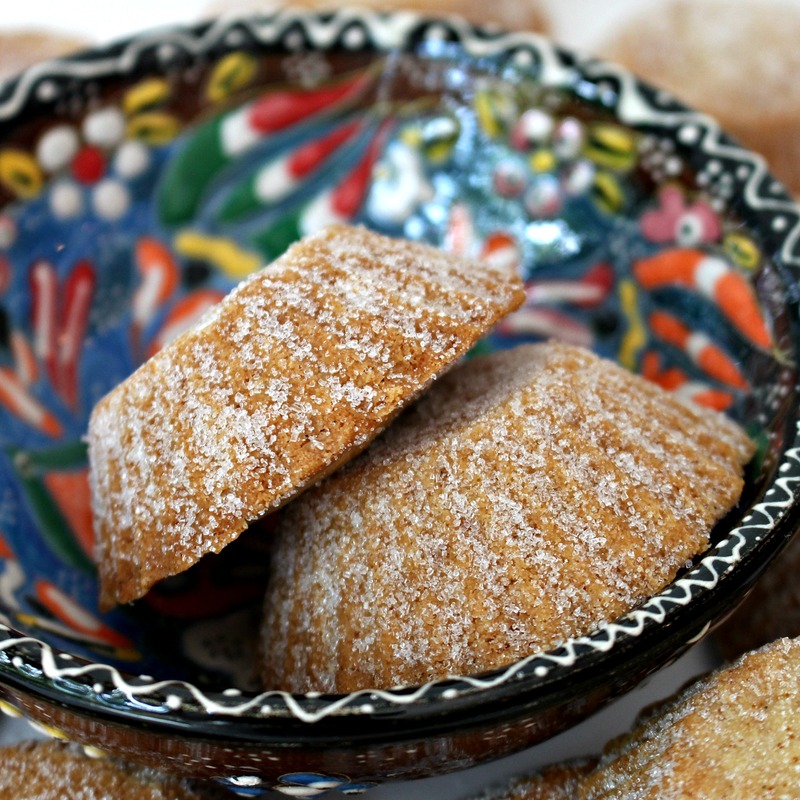 It’s great to read a bit about it and to learn about this Bosnian cookie recipe. It’s so great to travel, taste new things, and bring it all back home to mull over (with cups of coffee, of course). I love when I discover some new taste/flavors when traveling. Enjoy the rest of your summer. Thanks, Monica! Two weeks was a long time to leave my family and “run off” to Bosnia, but it WAS a memorable experience. International foods and customs are so much fun to learn about! I hope you have a great end of summer break too! What an adventure Wendy! It sounds like you had a lovely time!! I always love recipes that are inspired / drawn from travels, etc.! These cookies sound delicious! That sounds like an amazing trip! I didn’t know you had ties to Bosnia. Live and learn! And now I want to know more about Bosnian culture. I’ll be reading Wikipedia today! These look really great, and talk about a lovely way to use the pan, too! The cookies are perfect with tea, I’m guessing! Thanks, Mir! The Bosnia trip was indeed fascinating. 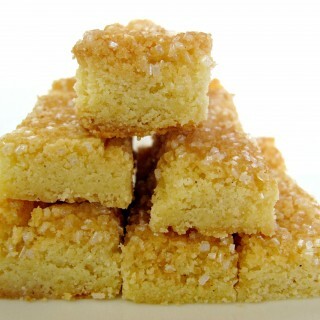 (My “Bosnian ties” are explained in this post https://themondaybox.com/2016/06/simple-sugar-cookie-bars/ ) Your guess is correct. 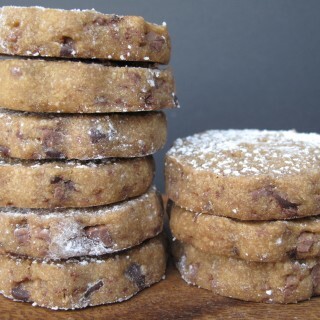 These cookies ARE perfect with tea or coffee! Welcome to Yum Goggle! We are following you on all your social media platforms and we hope you will follow us back. We will do our best to tag you each time we promote your posts. Kelli at YG! I love discovering desserts from all around the world. This was new to me! Thanks! Thanks, Jessie! I love international food discoveries too! Every culture has long lasting cookies that are great for care packages. It’s SO much fun to find them and eat them! Great story of your trip! 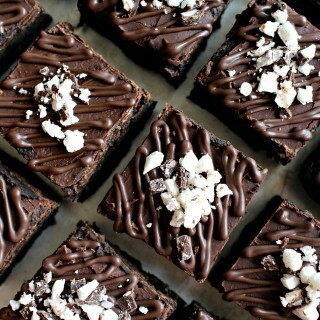 I need to try these…..with coffee? Thanks, Karrie! I am so glad you liked reading about Bosnia. I feel so glad I took advantage of the opportunity to travel there! 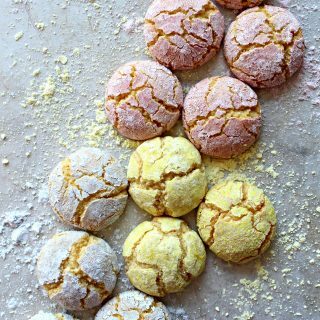 These Butter Cookies would be great for a holiday platter! My grandmother would love these! Such a great snack to go with tea or coffee. 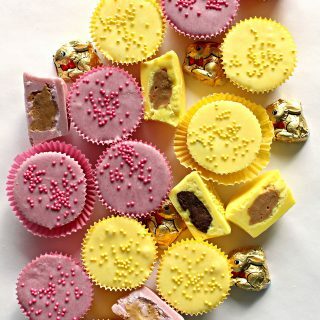 What lovely cookies – and a lovely story to go with! Thanks for bringing these by throwback thursday this week! I’m pinning…and I love that they work so well in this pan! 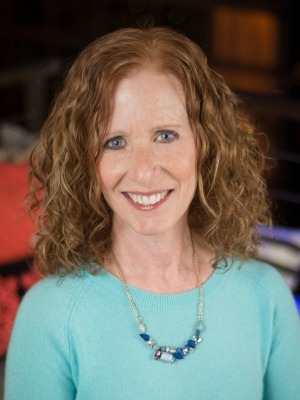 Thank you, Mollie! I love having recipes to cook, so that you can relive the most cherished parts of travel every time you prepare them. 🙂 The mini tart pan really was perfect for these special butter cookies! Thanks for hosting Throwback Thursday! Your recipe is a bit different, and I must try it. Thanks, Winnie! 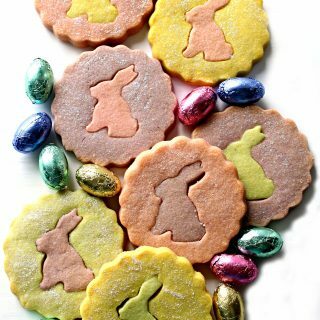 These are really lovely cookies, especially with tea or coffee! I know you like nuts, so you might want to try them in their traditional form using ground nuts instead of the semolina (my substitute due to nut allergy).